We had quite a few batches of lovely green beans from our garden this summer and I decided to branch out from steaming them again. I tried a recipe for grilled green beans one night that the grill was hot. The beans were delightful so I decided to replicate the flavor on the stove top. 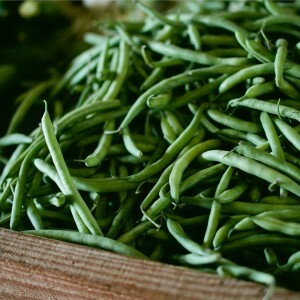 These green beans have great flavor. I have even spotted family members munching unheated leftover beans straight from the fridge. Combine the ingredients in a sauce pan on the stove top and toss the ingredients to coat the beans. Warm the pan to medium heat and let the beans cook until they reach your desired level of softness and color. As they cook, shake the pan (or use tongs to flip the beans) and keep the bottom beans from sticking or burning. We fill up our medium sauce pan with beans when we do this recipe and none of them go to waste.